It’s Memorial Day Weekend here in the good ol’ U S of A. Memorial Day is also known as Decoration Day. It’s a federal holiday for remembering the people who died while serving in the country's armed forces. From 1868 to 1970, it was observed on May 30 each year. Now, the holiday is observed on the last Monday in the month of May. As it is the unofficial start of Summer Vacation season, many people choose to go camping and grill in their backyards. Labor Day marks the end of summer vacation season. But let’s remember the real reason for the day today - the men and women who died for our freedom. As it is a holiday, I’ve put together a short setlist for today. Thank you to our veterans who have fought for and continue to fight for us. My gratitude for those who ‘gave all’ is overwhelming. Enjoy your holiday - however you wish to celebrate. Be sure to stop back in on June 1 for the next battle of the bands. Don’t forget to visit the other bloggers in this musical bloghop! Great job on your pickin's and you're so very right that sometimes the real meaning for today is forgotten and it's not just a time picnic and have fun. All those soldiers that lost their lives for us we all should just take a moment and bow our heads and say a prayer and say THANK YOU! Have a great day my friend, HUGS! Have a great kick-start to summer this week. See you on Monday. Fantastic list, and definitely appropriate for the holiday! I'm glad you posted the reminder about the holiday last week. I had completely forgotten. Beautiful songs and a wonderful playlist coming from a vet. Thanks and have a wondefrul week. Thank you Patrick for your service! Perfect playlist for today's holiday! My favs are Sammy Hagar's "Remember the Heroes" and the Statler Brothers one. Hope you had a good holiday today. Do anything fun?? You and I had the same idea. We recognized our fallen and mentioned that Memorial weekend is the unofficial kick off to summer. I really, really enjoyed Sammy Hagar's "Remember the Heroes". I thought I listened to that one when I was looking but I don't think I did. "More Than a Name on a Wall" by The Statler Brothers is beautiful. Man, can they harmonize! 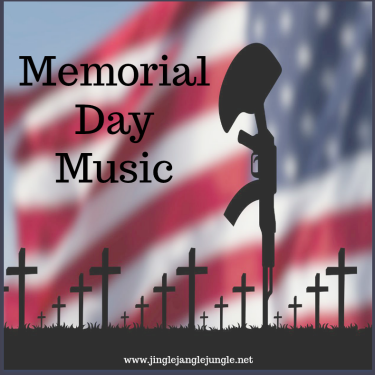 Thanks for sharing such a fabulous playlist to honor our fallen and for dancing with the 4M gang! Have a good week, my friend! It seems quite a few of us used the Statler Brothers song this week. It really is a good one. I love "More than a Name on a Wall". The Statler Brothers sing it with a lot of emotion too. Great list, Mary! Long time no chat :) These guys really do a good song. So glad that I'm well-rounded enough to include country music in some of my sets. What's new in your world? Ready to retire and move to Hawaii? Hi Mary; I think it's great you have a separate day to honour your fallen heroes. In Canada we combine Memorial Day with Veterans' Day on Nov. 11 (Remembrance Day). Love your playlist! Good songs, all, but of course, my favourite is Metallica's. ☺ I have some great tunes from 1967 on the blog today, if you're interested. Cheers! 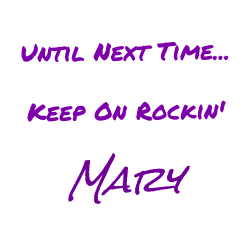 I'll be sure to stop by your page to have a listen. Have a great day! More Than a Name on A Wall has such important lyrics - all of the fallen were someone's loved one. My favorite was the Iron Maiden song - a good kickstart to the day. May we never become a nation who runs from what is right.